Noam Chomsky Interviewed on Democracy Now! 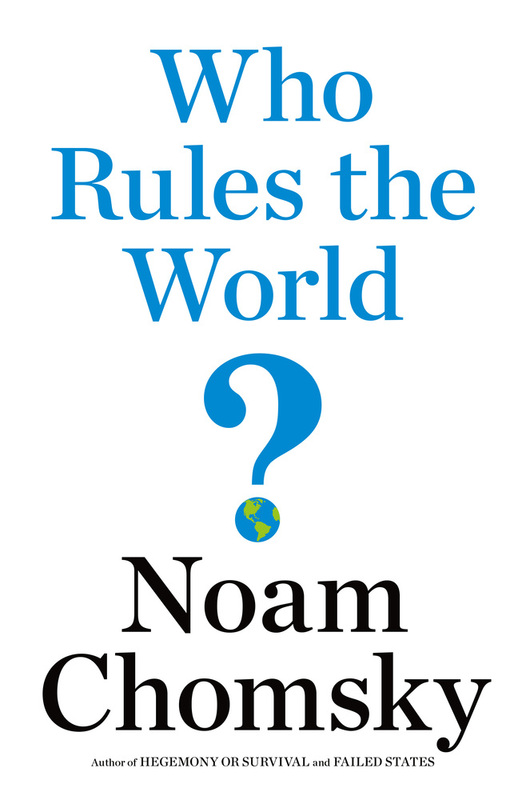 Praise for Who Rules the World? "Chomsky’s book is . . . a polemic designed to awaken Americans from complacency. America, in his view, must be reined in, and he makes the case with verve. . . . We should understand it as a plea to end American hypocrisy, to introduce a more consistently principled dimension to American relations with the world, and, instead of assuming American benevolence, to scrutinize critically how the US government actually exercises its still-unmatched power." "Chomsky is a global phenomenon. . . . He may be the most widely read American voice on foreign policy on the planet." "With relentless logic, Chomsky bids us to listen closely to what our leaders tell us—and to discern what they are leaving out. . . . Agree with him or not, we lose out by not listening." "How did we ever get to be an empire? The writings of Noam Chomsky—America's most useful citizen—are the best answer to that question." "It is possible that, if the United States goes the way of nineteenth-century Britain, Chomsky's interpretation will be the standard among historians a hundred years from now." "For anyone wanting to find out more about the world we live in . 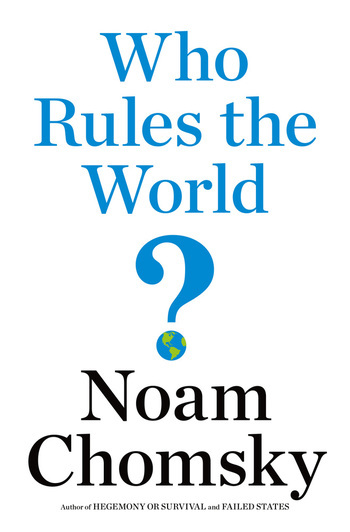 . . there is one simple answer: read Noam Chomsky." Noam Chomsky is Institute Professor (Emeritus) in the M.I.T. Department of Linguistics and Philosophy. His work is widely credited with having revolutionized the field of modern linguistics. Chomsky is the author of numerous best-selling political works, including the New York Times bestseller Hegemony or Survival, Failed States, Imperial Ambitions, What We Say Goes, and Hopes and Prospects.